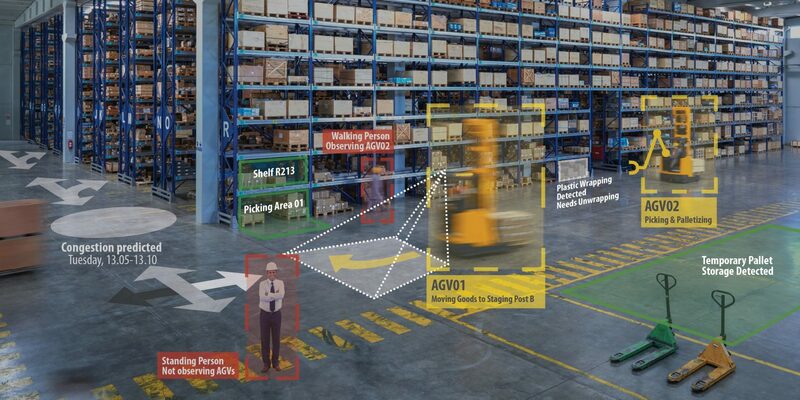 ILIAD Project – An EU-funded research project on Intra-Logistics with Integrated Automatic Deployment for safe and scalable fleets in shared spaces. Welcome to ILIAD, an EU-funded research project on Intra-Logistics with Integrated Automatic Deployment for safe and scalable fleets in shared spaces. Today, intralogistic services have to respond quickly to changing market needs, unforeseeable trends and shorter product life cycles. These drivers pose new demands on intralogistic systems to be highly flexible, rock-solid reliable, self-optimising, quickly deployable and safe yet efficient in environments shared with humans. 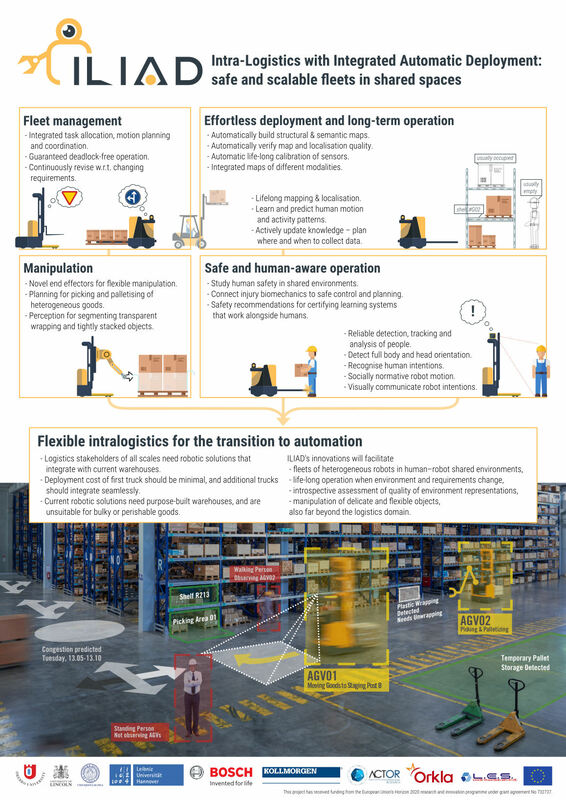 ILIAD will enable the transition to automation of intralogistic services with key stakeholders from the food distribution sector, where these challenges are particularly pressing. efficient fleet management with formal guarantees. systematically studying human safety in mixed environments, providing a foundation for future safety standards. This project has received funding from the European Union’s Horizon 2020 research and innovation programme under grant agreement No 732737. In the middle of May, we had the third project-wide integration week of ILIAD. This time the partners met in Örebro, Sweden, in order to synchronise and integrate developments in navigation, coordination, tracking, as well as the models used for long-term fleet operation.